If you just want to see pictures from this trip, go here. We’re just back from 5 weeks at our house in Florida. Finally we got to take a trip we had planned for years, up to the Forgotten Coast. This is the area at the north-east of the Gulf of Mexico, just at the start of the Florida Panhandle. This trip really showed how wild much of Florida is. 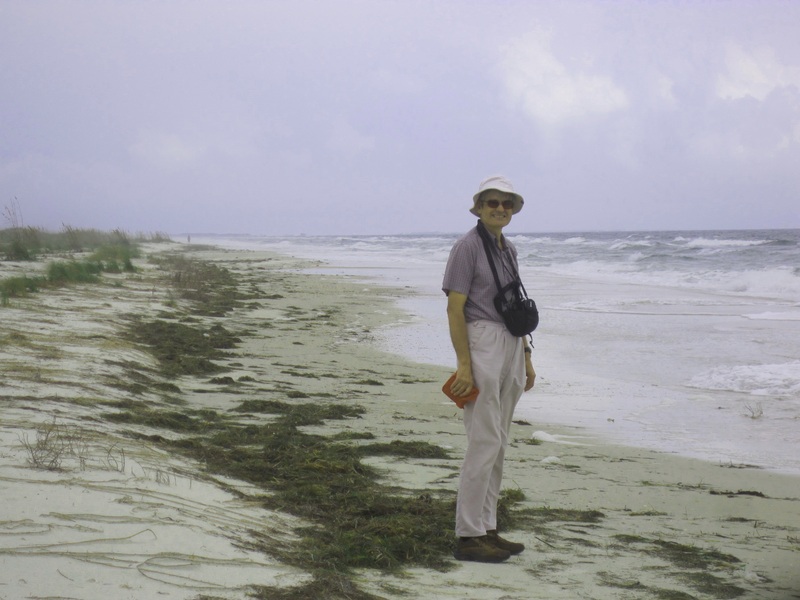 It was over 300 miles to Apalachicola, where we stayed first, and once we were off the Interstate near Gainesville, the roads were empty and we passed either farmland – yes there are lots of cattle in Florida – or forest and swamp. When we got near our destination, there were plenty of road signs for bears, even right by the sea. 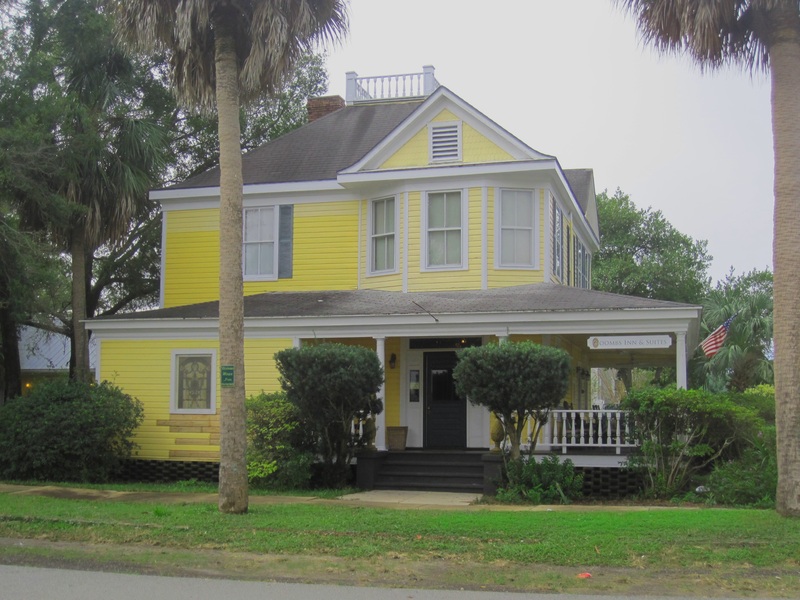 We stayed for two nights at the Coombs Inn in Apalachicola. This was a lovely Victorian building (3 buildings in fact) built in 1905 by an entrepreneur who came down to Florida from Maine to build up his logging and sawmill business. We had a room with a large four-poster and a private jacuzzi. Breakfast was very elegant at the Coombs, with excellent coffee. However on the first day the hot breakfast was French toast, which we had to politely refuse as it’s one of the very few dishes in the US that we can’t manage. If you haven’t come across it, it’s bread dipped in egg and then fried, often sprinkled with icing sugar and usually served with maple syrup. Too sweet for us. The second day we had what was described as “casserole” which was turned out to be a very deep and delicious quiche. 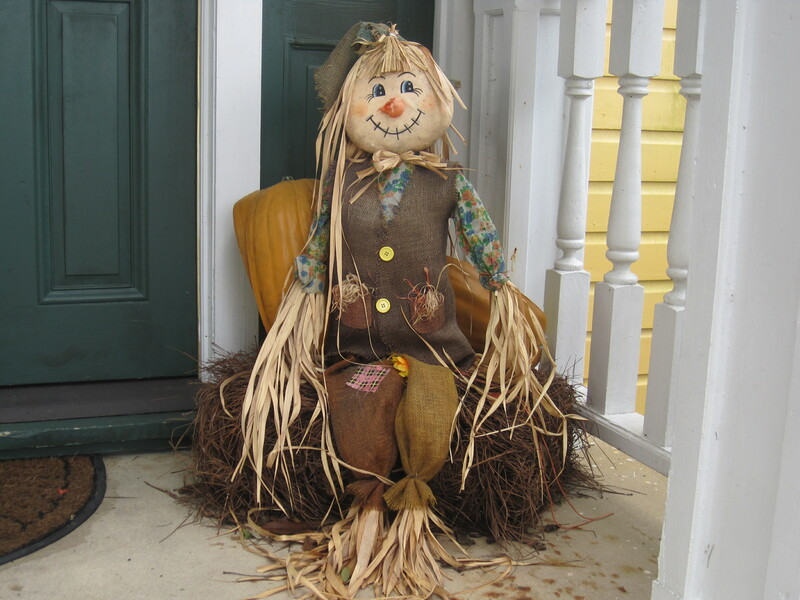 We couldn’t work out whether they were celebrating Halloween or Thanksgiving. Apalachicola was rather deserted the first evening. We learned that their seafood festival had finished the day before. Many restaurants were closed but we did finally find somewhere to eat, having walked around in drizzle. We soon realised we were in the deep south. Most people in Central Florida have come from somewhere else in the US, but here we were constantly addressed as “y’all” and the service, at least in this restaurant, was not quite what you get in Central Florida. On our first full day we drove over the 5-mile causeway to St George Island, one of the many barrier islands off the coast of Florida. All of the eastern end is a state park and it was almost deserted. We walked on the beach and had our first encounter with a wading bird called a willet. It was definitely colder than in central Florida and the sea was not calm, but we could see miles and miles of white sandy beach. In the afternoon we went to St Joseph, which is just joined on to the mainland and so is technically a peninsula state park, west of Apalachicola. 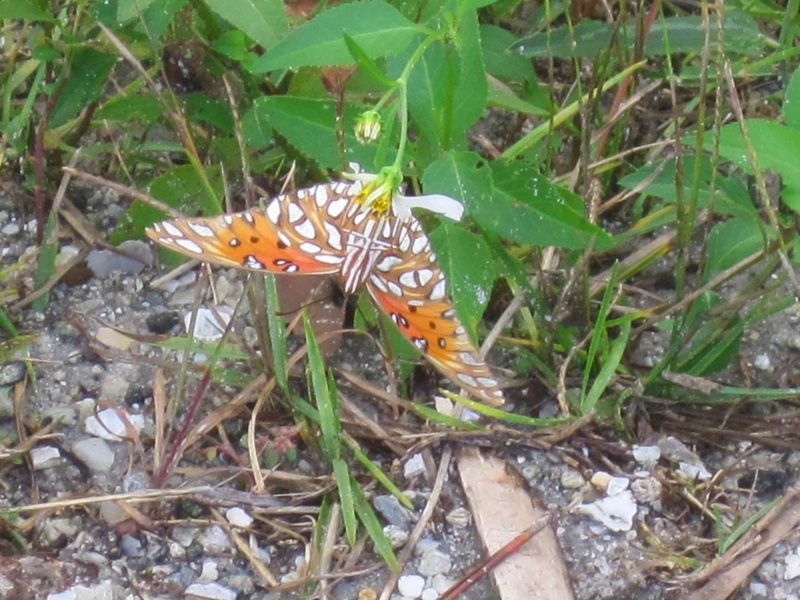 This was even quieter and the hiking trails were shorter, but we saw some Monarch butterflies and, on our way back, some great white pelicans, which we had only ever seen once before. There was an alligator warning sign which was a bit odd as it was next to saltwater. There was bit more choice for dinner on our second night and we had some good seafood in a local cafe. Apalachicola was once the third largest port in the Gulf, but now it’s more of a sleepy backwater with plenty of old houses. Oysters and seafood are now its main business. The oysters are picked up from the sea bed by long tongs held by men standing up in small boats. There are piles of oyster shells everywhere. It’s well worth a visit. The next day we drove past plenty more bear road signs through the forest on our way to Wakulla Springs State Park. This park is one of the many areas in Florida where there is underwater limestone karst scenery with water coming up through the aquifers. We did the boat trip and saw lots of birds. 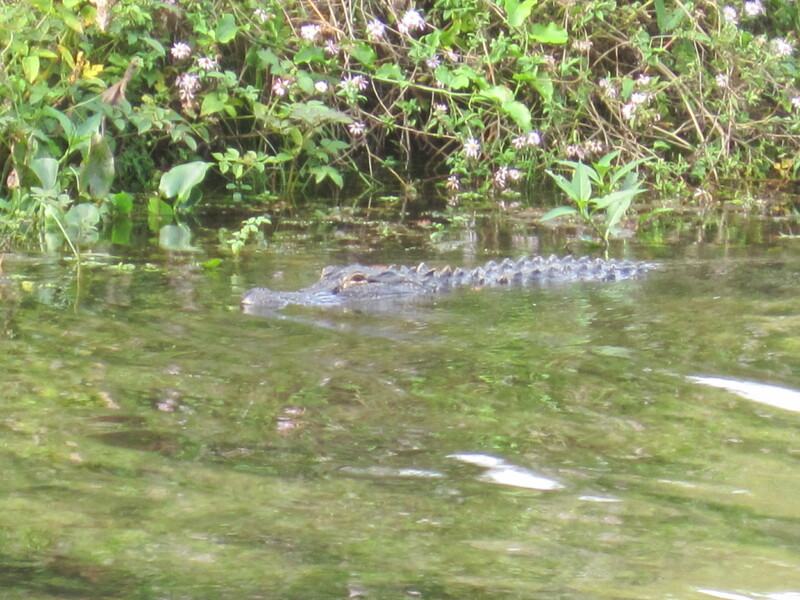 There were plenty of alligators as well. 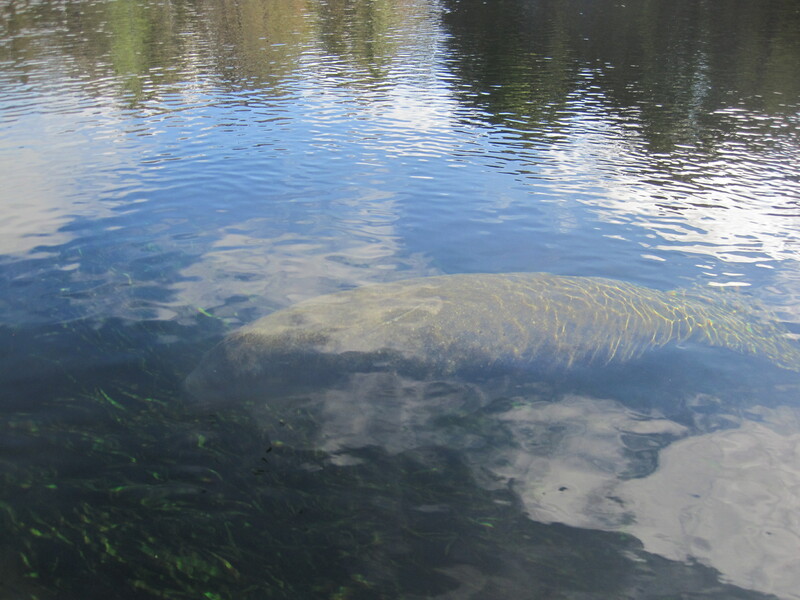 But the highlight was seeing some manatees. I managed to get one good photo. The reflections were pretty good as well. The boat trip was excellent, but we did some of the nature walk too. There’s an old lodge at Wakulla with the body of an 11ft alligator called Old Joe which was murdered by somebody on 1 August 1966. They never found the killer. It would have been a nice place to stay but we had already planned to make our first visit to Tallahassee, the state capital of Florida. 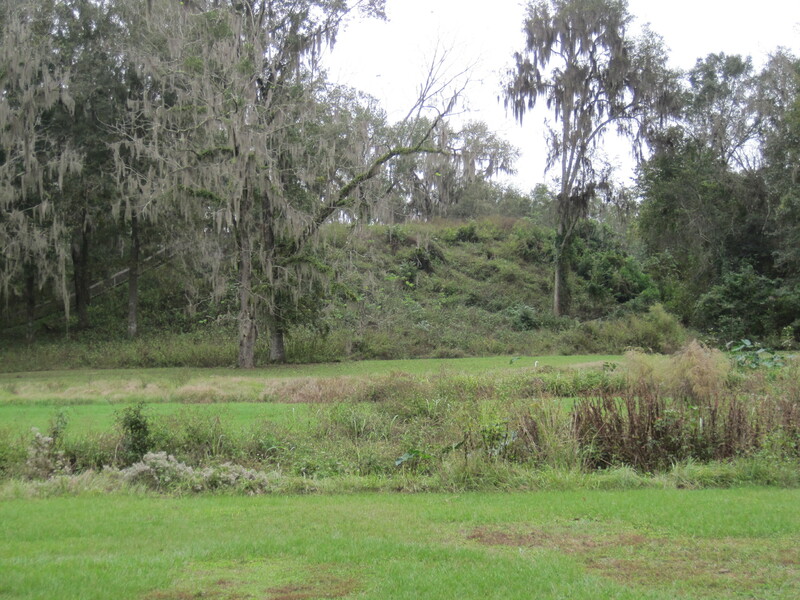 Our main objective in Tallahassee was to visit the Museum of the History of Florida, but we took a small detour first to Lake Jackson Mounds Archaeological State Park – yes there is archaeology in Florida. You can visit and climb up two temple mounds which date back to about 1100-1200 AD. They were very overgrown but we had an interesting conversation with a ranger who was supervising some volunteers who were clearing undergrowth. The History Museum was superb and we stayed much longer than we intended. There are a lot of displays about Florida as it was before the arrival of tourists, citrus groves and Disney. It was Veterans’ Day and the centre of Tallahassee was very quiet for the holiday once the parades had finished. It’s quite hilly and the old State Capitol is at the top of a hill. It’s a beautiful building, now a museum of the political history of Florida. The new capitol was closed for the holiday. It’s a huge and rather hideous building – I suppose some of our taxes are paying for it. 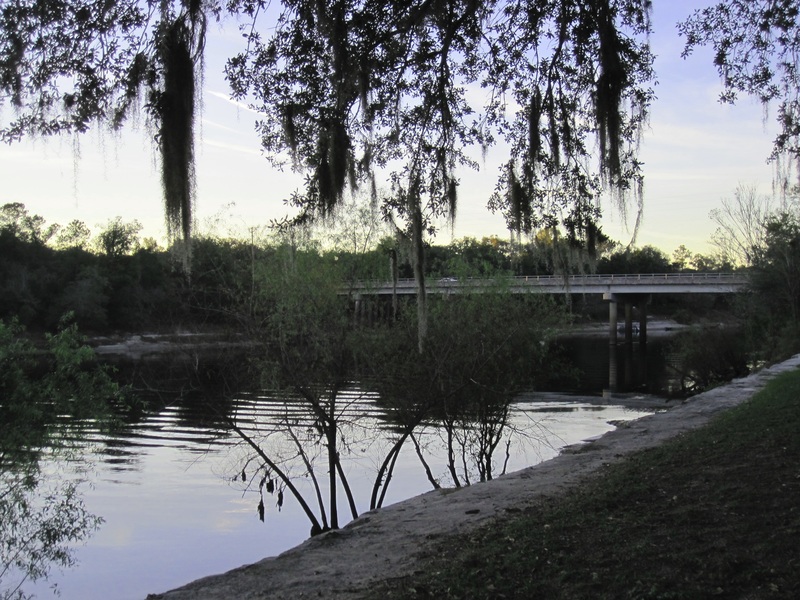 It was a long drive back again and it was getting dark when we had our last rest stop at Branford, “Down by the Suwannee River”. A few days after we got home, the WUSF TV station on PBS showed a one hour film called “Forgotten Coast: Return to Wild Florida” in which three young people travel overland on foot, by bike and canoe, from somewhere in Polk County (where our house is) to Pensacola at the very west of the Panhandle. The photography is fantastic. Don’t miss it, if you ever get a chance to see it. It really shows how much of Florida is wild scenery. You can soon get away from theme parks, shopping centres, fast food outlets and strip malls. And just to see a nice view nearer civilization, this is the golf course at the back of our Florida home on a misty, dewy morning. It’s my favourite place to eat breakfast outside, watching the sun rise. 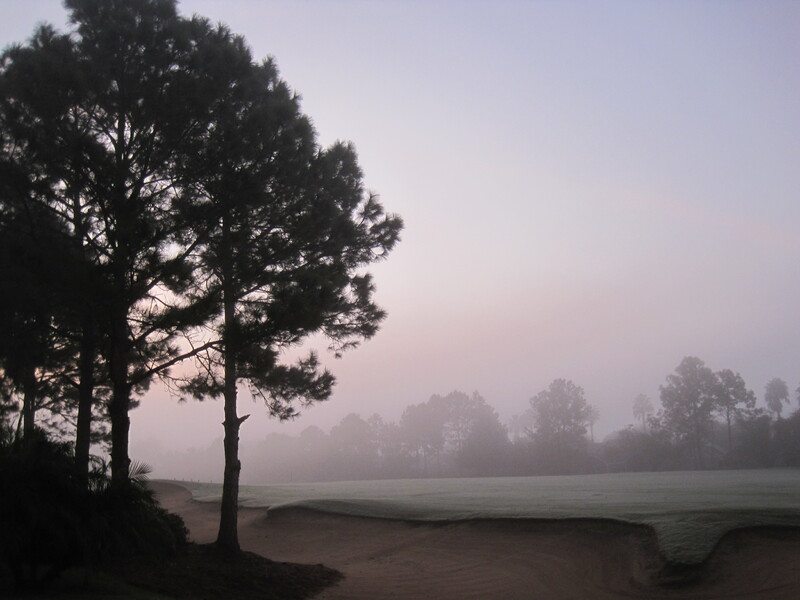 A misty, dewy morning on the golf course at the back of Florida Breeze Villa, our Florida home. 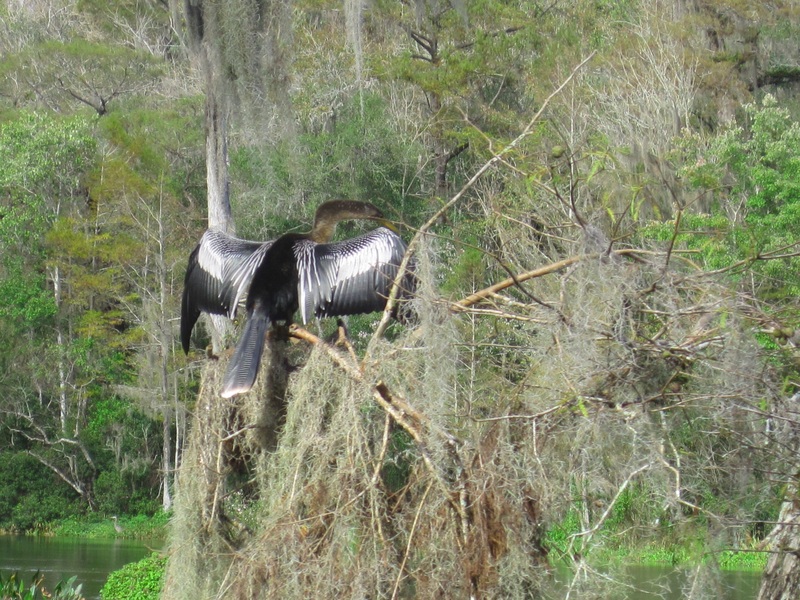 You can see alligators, birds and other wildlife within a short drive from Florida Breeze Villa, our Florida home. Please get in touch via this website if you would like to know how you can stay there. 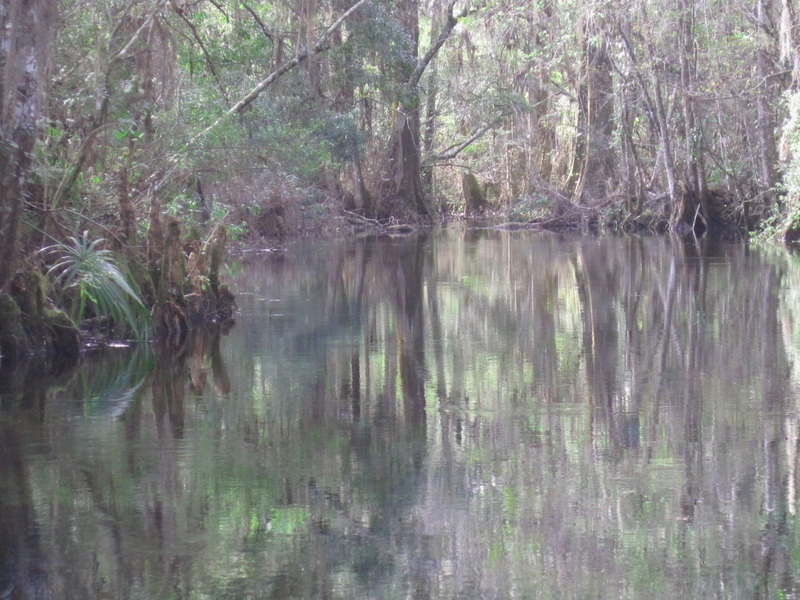 You can find out more about the places we visited on the Florida State Parks website. There are several parks within an hour’s drive of Florida Breeze Villa. Go here to see all the pictures from this trip. Looks fantastic Susan! I hope now Ava’s a bit bigger we’ll be able to visit Florida soon. Sadly she’s now more aware of Disney too, but she’d certainly love all the wildlife!